Brief: Sephora wanted to promote their special Christmas sale. Their asked for awareness around the brand, the events and the special sale, but also for leads to their sale page on their online shop. We did this project for them in 2016 and in 2017, in an updated version. 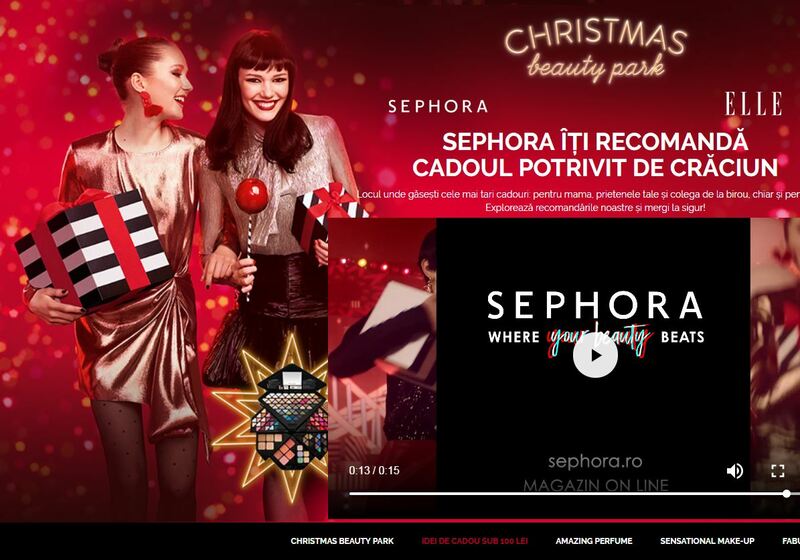 Concept: We created a special website, subordinated to ELLE.ro, were we recreated some of the celebration spirit typical to Sephora’s Xmas campaign. We used video and text content to translate the joy and talk to our readers about the joy of gifting. We integrated Sephora’s product page through a special app that redirected our readers to their online shop. Delivrables: Special website (concept, design, coding, management), direct mail, native advertising, Facebook and Instagram.